The AMS Phoenix Project has developed a strategic and operating plan to govern its activities over the next two years (2014-2015). This plan includes priorities, milestones and operational deliverables. The full report of the Strategic Directions & Operating Plan for Years 3 and 4 (2014-15) is available online here. An executive summary of the report is also available here…..
July 11, 2013 (Toronto, ON) – Associated Medical Services (AMS) is pleased to announce the recipients of the 2013 AMS Phoenix Fellowship award. The fellowship is a key cornerstone of the AMS Phoenix Project. This is the second year that a small select group of talented health professionals from across Ontario have been granted this prestigious award in recognition of their leadership in advancing compassionate health care. The intent of the AMS Phoenix Fellowship is to provide support to individuals to allow them to devote time to engage in leadership activities that will influence how health professionals develop and sustain their communication skills, empathy, and professional values in learning and practice environments. Fellows build capacity in their home institution and across the province to enable more humane and supportive teaching and practice. 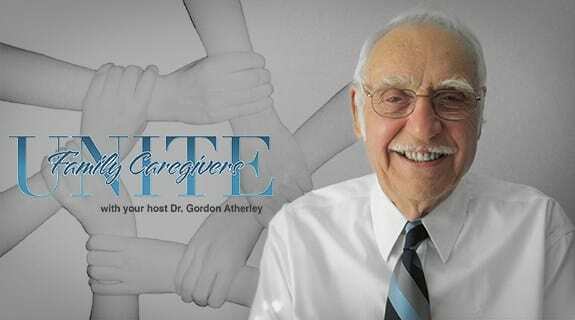 VoiceAmerica reports that Family Caregivers Unite! reached an audience of over 425,000 listeners by March 31, 2013, that in March alone it was accessed from 20 countries, and that also in March alone all of its 193 Episodes were accessed in its On-Demand Library. On May 14 2013, Dr Brian Hodges was interviewed for one hour by Voice America about the Phoenix Project, which now lives in the on-demand library. On November 29-30, 2012, the AMS Phoenix Project held its first annual workshop at Queen’s University in Kingston, Ontario. The workshop –Creating Communities of Caring − brought together individuals who have been most actively engaged in the work of the AMS Phoenix Project including the 2012/13 AMS Phoenix Fellowship and Call to Caring Grant recipients. The workshop provided an opportunity to showcase Year 1 accomplishments of the AMS Phoenix Project, provided a venue for AMS Phoenix Fellow, Grant Recipients and their mentors to share experiences and discuss future priorities for the AMS Phoenix Project. Applications are now being accepted for the 2013 AMS Phoenix Fellowships. WHAT IS THE FOCUS OF THIS YEAR’S AMS PHOENIX FELLOWSHIP? The AMS Phoenix Fellowship is a prestigious award targeted at individuals with strong leadership abilities who are willing and committed to devoting time to further understanding of new approaches to educational and clinical practice to advance humane, compassionate, person-centred care. Eligibility for the AMS Phoenix Fellowships is intended to be broad and inclusive. The competition is open to all health professionals who are actively involved in education, clinical practice and/or exceptional students who have demonstrated leadership in making a positive and lasting difference in how health professionals develop and sustain compassion in their work. (maximum length 2 pages), along with a copy of their curriculum vitae (maximum length 5 pages) no later than Friday, March 2, 2012 at 5:00 p.m. Finalists will be notified by Friday, March 30, 2012 whether they will be invited to participate in Stage 2 and will be asked to prepare a more detailed description of their proposed Fellowship. WHAT IS THE AMOUNT OF THE AWARD? The AMS will provide successful applicants with $25,000 for a one-year period (2013/14). The AMS funds must be matched by the Fellow’s supporting organization (e.g., university, college, hospital, etc.) to guarantee funding for the Fellow’s activities equivalent to $50,000/year. HOW DO INTERESTED INDIVIDUALS APPLY? Applications will be evaluated using a two-staged process. For Stage 1, applicants are required to submit a letter of intent (maximum length 3 pages), along with a copy of their curriculum vitae (maximum length 3 pages) no later than March 6, 2013 at 5:00 p.m. Finalists will be notified in April 2013 whether they will be invited to participate in Stage 2 and will be asked to prepare a more detailed description of their proposed Fellowship.